The number of Egyptians killed in the Haj stampede last month climbed to 138 from 126, while 96 Egyptians are currently missing, Egypt’s endowments minister said on Sunday. Religious Endowments Minister Mohamed Mokhtar Gomaa told a news conference, aired live on state television, that a “detailed report” on the incident has been handed to the Egyptian Cabinet. Gomaa’s announcement comes two days after he returned from Saudi Arabia, where he was leading Egypt’s Haj group. A stampede in the Saudi tent city of Mina on Sept. 24 left 769 dead when pilgrims either suffocated or were trampled while preforming Haj, one of the five pillars of Islam. 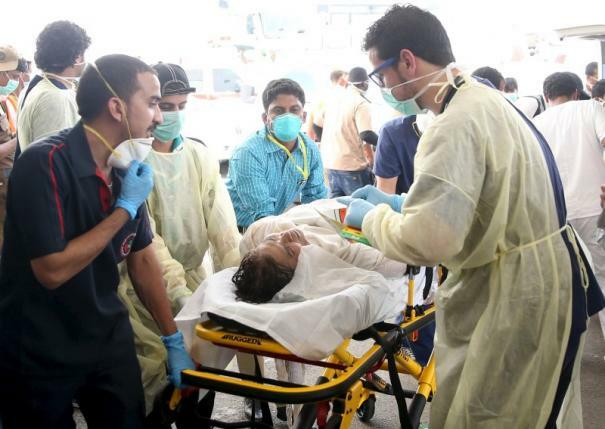 Egypt’s Ministry of Health had announced Friday that it will compare DNA samples of the relatives of missing people with samples from the yet unidentified bodies in Saudi hospitals. Pictures of dozens of Egyptians who went to Saudi for pilgrimage are being circulated on social media by family members who have lost contact with them. Many of them are senior citizens. The stampede has killed and injured people from across the world, including over 450 from Iran, according to Iranian news sources. The incident has sparked tensions between the Saudi Kingdom and Iran, the latter accusing Saudi authorities of “mismanaging the pilgrimage”.